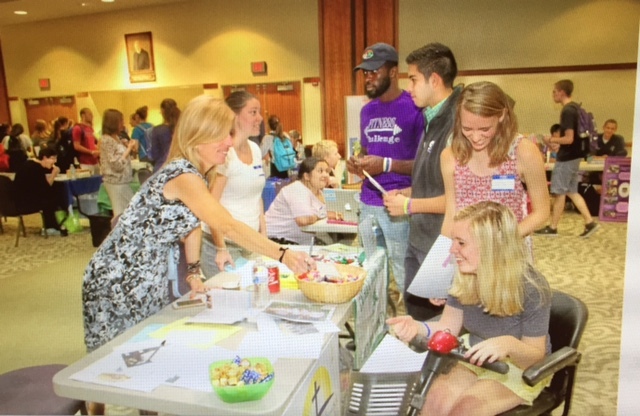 Campus Ministries' Center for Service & Social Justice hosts a Volunteer and Service Fair each September. We invite local non-profit agencies to come to campus to recruit volunteers for their programs in areas such as health and hospice care, children and youth, elderly, social justice, food and housing programs, poverty and homelessness and hands on projects. Student volunteers get the opportunity to meet directly with non-profit agency representatives and find out what types of service opportunities are available in the Scranton community, time commitments, and information about community based learning. Each year the fair is attended by over 65 agencies and 700 students.